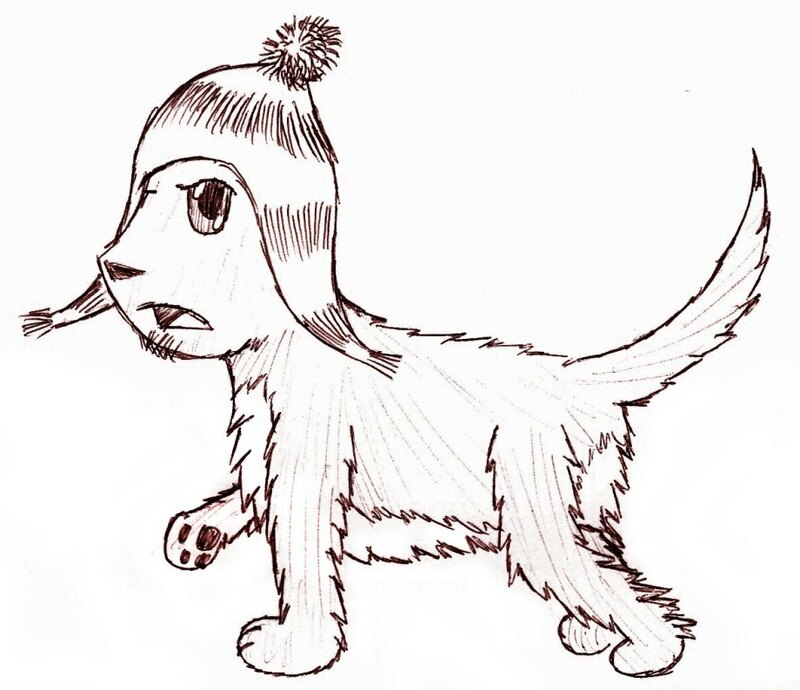 This little dog was inspired by Jayne of Firefly, and his awesome hat. Originally I had the dog saying something sarcastic or rude, but I decided not to include it in the scanned version. I envisioned the dog as brownish-colored, to match the yellow and orange of Jayne's hat (and really, I'm of the opinion that dogs look best when brown colored. Same is true for humans, while I'm at it). Dunno what the eye color would be or anything. That's about it, just trying to get this section off to a good start. Made with pen and paper, scanned in GIMP.